Harvest Operations Corp. is a wholly-owned subsidiary of Korea National Oil Corporation (KNOC). 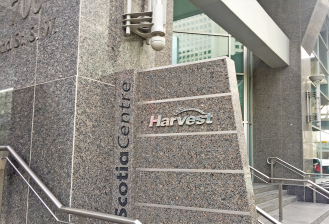 Harvest is a significant operator in Canada's energy industry offering exposure to exploration, development and production of crude oil and natural gas (Upstream) and an oil sands project under construction and development in northern Alberta (BlackGold). KNOC is a state owned oil and gas company engaged in the exploration and production of oil and gas along with storing petroleum resources. KNOC will fully establish itself as a global government-run petroleum company by applying ethical, sustainable and environment-friendly management and by taking corporate social responsibility seriously at all times. We are focused on identifying opportunities to create and deliver value, with an active development program using best-in-class technologies to maximize our assets.